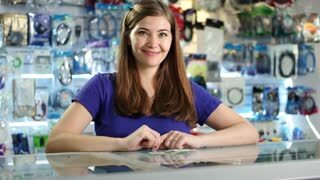 Search Results for "female computer"
Young businesswoman sitting at office with laptop having video chat. Professional female using computer talking via messenger app. Smiling waving hand in greeting smiling. Shot of a two beautiful young female designers discussing business while working on the laptop together. Female colleagues using computer at work. Connectivity, communication, inspire. 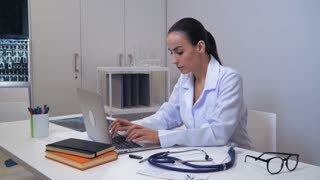 Attractive young female laboratory worker using computer while operating analyzing machines at the modern lab. Scientific research in progress. Medical development. Healthcare industry. 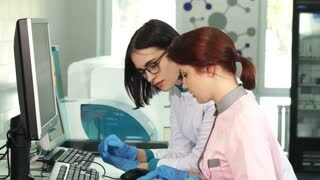 Young female laboratory workers using computer together conducting experiments at the modern lab. Two scientists working on a research. Science, development, technology, occupation, job. dy fingers entering data on pc closeup. unrecognizable woman using laptop. 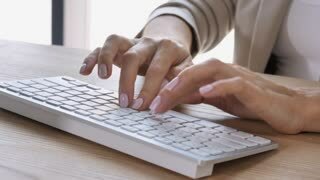 female hands typing on computer.